As, oh I don't know, you may or may not have known, the Pittsburgh Penguins exorcised some franchise Game 7 playoff demons when 3,172 year old Chris Kunitz scored in the 2nd overtime to propel the Penguins into the Stanley Cup Finals for the second straight season. 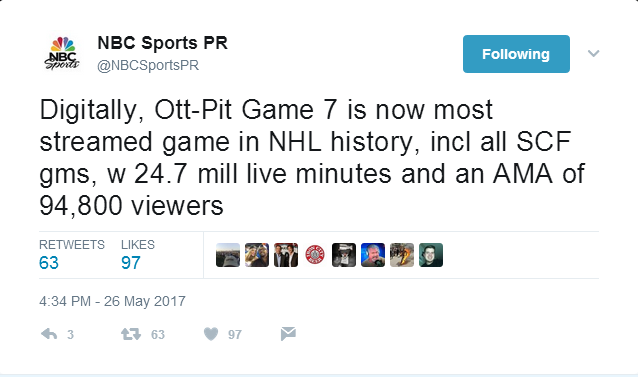 ...you already knew that the Penguins won, because you were probably watching. 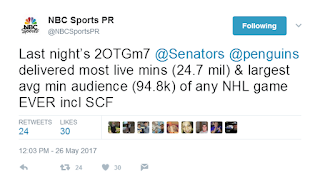 For those of you scoring at home– and judging by your lack of interaction via Facebook, Twitter, and the Comments Section below, I'm starting to doubt that you are!– the 29.7 local rating means that of all potential television viewers in Pittsburgh, nearly 30% of them had their TV on and tuned to the Penguins/Senators' tilt. And yeah, sure, the 29.7 is reached by extrapolating 1/10th of 1%, but MATH! 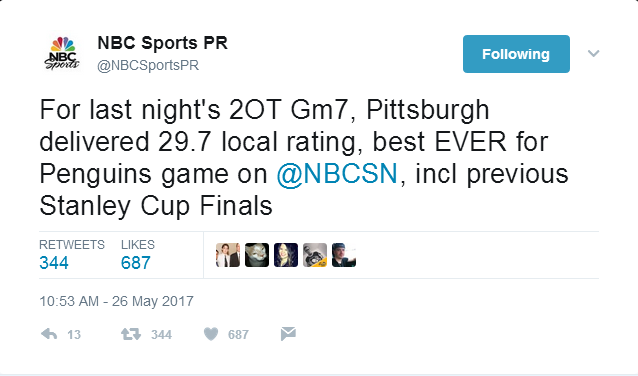 Explained a bit further: that 29.7 local rating means that 30% of the entire Pittsburgh area was tuned to the game, which even includes the people NOT watching hockey. "...but, but, the children! ...and the Buccos." I would expound upon that 47.0, but the tweet pretty explains the distinction between "Share" and "Local Rating." We're the Howard Stern of Hockey, Folks. Why, check that out: Philadelphia is #5, #7, and #5 and Pittsburgh is #1, #1, #1. On the bright side, Flyers fans: "1975" has both a "7" and a "5" in it, so that's AWESOME! Okay, okay, so, the English Major thing is failing me– badly– so if you're smarter than me (and I'm hoping this means most of you, for the universe's sake), please explain the average minute audience thingy niner to me and I'll make you famous. Emilio "Where Are They Now?" Estevez delivering the "Make you Famous" line is now...ironic? 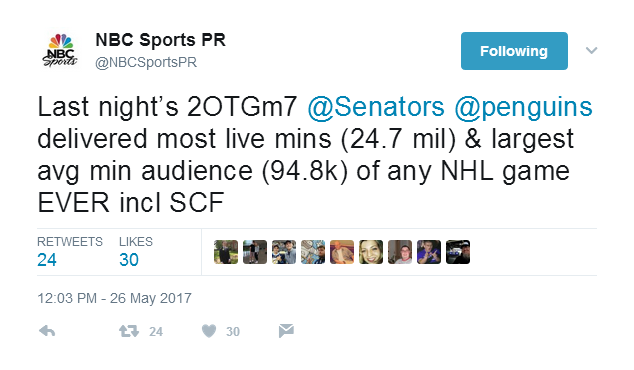 So, I think I figured out the entire "Average Minute Audience" thing, which is to say that at any given minute during the broadcast, there were 94,800 viewers watching the Penguins gearing up to eliminate the Senators. 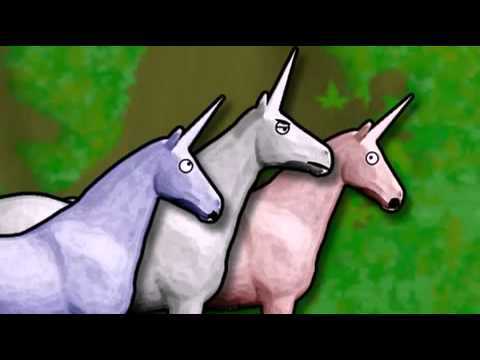 ...is still pretty damn amazing, right? As usual, a hefty congratulations to Pittsburgh, the Penguins, and the Penguins' fans for continually showing the rest of the country (and especially Philadelphia) how TRUE fans follow the best team in the country. Just think how nice those TV ratings records will look when paired with a back-to-back championship, eh? If the C(r)apitals had achieved this they would raise a new banner to go with their attendance record banner. 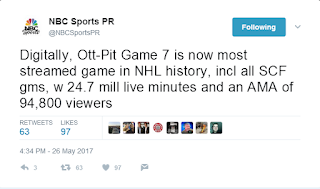 The 2017-2018 NHL hasn't happened yet....THERE'S STILL TIME, CAPITALS!